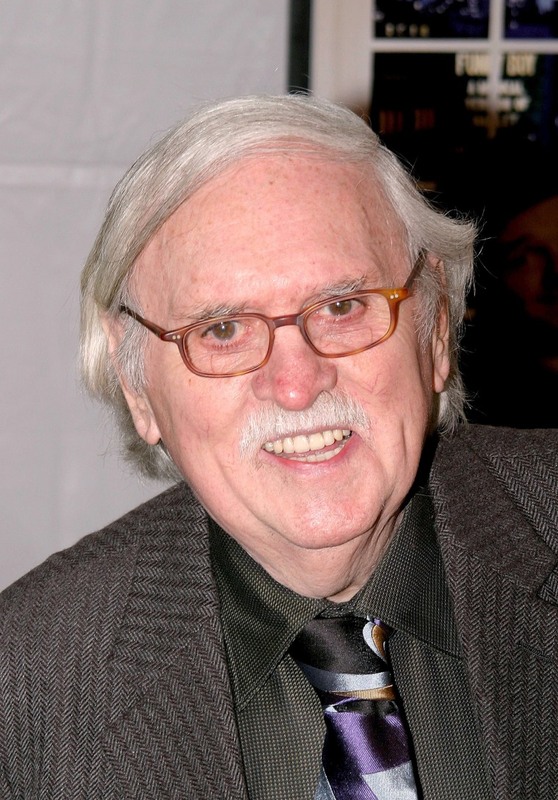 NEW YORK — Three-time Tony Award-winning book writer Thomas Meehan, best known for transforming the Little Orphan Annie cartoon strip into the smash Broadway musical "Annie," has died at age 88. Meehan, who had been ill for about five months and had undergone surgery, died at his home in Manhattan late Monday or early Tuesday, longtime friend and "Annie" collaborator Martin Charnin said. Charnin visited his old friend about 10 days ago. "There's a hole in my heart," Charnin said. "It's a gigantic loss, not only to the industry but also to us. We've been together and so close since the 1950s." Meehan wrote the books for three shows that ran over 2,000 performances on Broadway: "Annie" with 2,377 performances, "The Producers" with Mel Brooks at 2,502 performances and "Hairspray," which he wrote with Mark O'Donnell and which reached 2,642 performances. "I wrote stories that were serious, very somber, trying to be in the style of William Faulkner," Meehan told the Observer newspaper in 1999. "My career has always been that every time I try something really serious, it's no good, but if I try to be funny, then it works." Tributes poured in on social media, including from "Hamilton" creator Lin-Manuel Miranda, who called Meehan "one of the best around," and from actress Kate Shindle, head of the Actors' Equity Association, who called his death a "great loss." Meehan's other shows include "Young Frankenstein" with Brooks, "Cry-Baby" with O'Donnell, "Elf" with Bob Martin, "Chaplin" with Christopher Curtis, "Bombay Dreams" with Meera Syal and the musical "Rocky" with Sylvester Stallone. Meehan began his career as a writer with The New Yorker's "Talk of the Town" section and later earned an Emmy Award nomination in 1964 as one of the writers of the TV series "That Was the Week That Was." Charnin said Meehan was "really very unique." "He was somebody who you could literally call a wit," Charnin said. "There are not a lot of wits left in comedy, and Tom was a wit. I have no problem calling him that." Meehan made his Broadway debut with "Annie," alongside Charnin and songwriter Charles Strouse. The 1977 original won the Tony as best musical and ran for 2,300 performances, inspiring tours and revivals that never went out of style. "Annie" almost died at the Goodspeed Opera House in Connecticut in 1976. But Charnin brought in noted stage and film director Mike Nichols, who signed on as a producer, and helped him revise the show. With actress Andrea McArdle replacing Kristen Vigard as the red-haired moppet Annie and Dorothy Loudon added as Miss Hannigan, the production went on to open in New York in April 1977 with a bang. The 1982 film version, which featured Carol Burnett in Loudon's role, was not nearly as popular or well-received. A stage sequel called "Annie Warbucks" ran off-Broadway in 1993. The original show was revived on Broadway in 2012 and was made into a film starring Quvenzhane Wallis in 2014. Meehan is survived by his wife.